Can Thrummingbird's attack be directed at yourself? 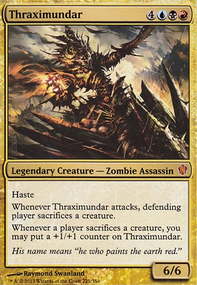 you can play Thalia's Lancers instead of Mastermind's Acquisition because you can only choose the first effect in edh and it will be better to have a creature to protect you planeswalker with this tuto effect. 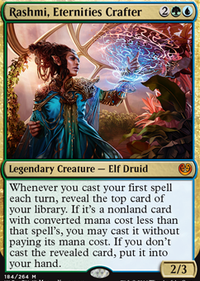 Jhoira, Weatherlight Captain will let you draw A LOT of card. Felidar Guardian can blink one of your planeswalker to reset it's counter and reuse one of it's ability in the same turn. you can also play card like Brago, King Eternal for similar effect. Fuel for the Cause can be a good counter spell for this deck. Thrummingbird and Grateful Apparition are really good cheap way to put loyalty counter. Yawgmoth's Vile Offering is really useful. I tried to recommand you card that are not too much expensive. 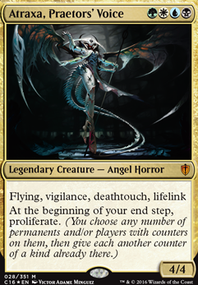 As far as proliferating goes, Thrummingbird can do some legwork in building you up, though it doesn't fall in your zombie theme, though The Scarab God could fix that, along with any other non-zombies like Viral Drake . And on that note, The Scorpion God could give you some solid draw and aid removal since you're already spreading -1/-1's with infect. Don't know if those fall too far out of theme for you (I appreciate thematic decks), but could be solid choices. Mjollnir15 on Count on it! As for adds, I think Sharktocrab is huge in this deck, especially with your familiar that allows you to recreate the effect! You not only prevent him from blocking, but you'll also prevent him from attacking on his next turn so you can just go to town! Any other suggestions I may have highly depend on what format you wish to go into! I have replaced Thrummingbird with Grateful Apparition , because the apparition has a more versatile ability. lagotripha Thrummingbird would actually be really good! I feel this deck might have some trouble in dealing with flying creatures. 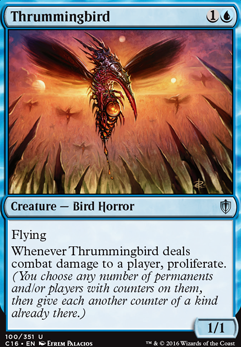 Thrummingbird could be a nice chump when we don't need the proliferate anymore. 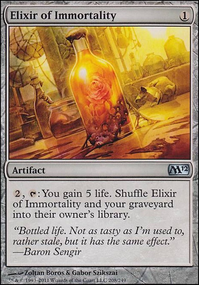 On Inexorable Tide : I think it is a little too slow for the format. 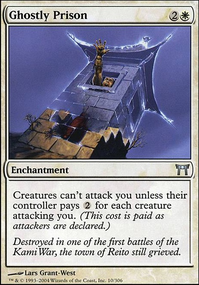 For five mana it doesn't really do anything untill later turns, and honestly by the time you cast this you should already be winning, if not this won't so. Any suggestions on what you would take out? Inexorable Tide or Thrummingbird ? Theres a lot of value in ticking up both +1+1 counters and energy counters at the same time.